Adventures await in a land of lava, glaciers and fjords. Between North America and mainland Europe lies Iceland. With oceanswept air and glacier-fresh water, the “land of fire and ice” is a place of rough beauty. Lava bubbles out of active volcanoes, steam surges out of hot springs and a different landscape beckons around every bend in the road. 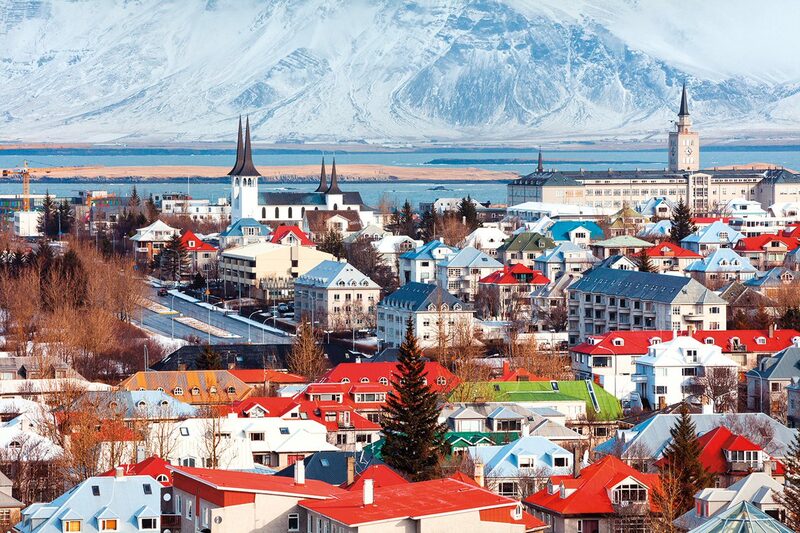 Whether you’re there to watch whales or birds, hike mountains or glaciers, immerse yourself in the bustling nightlife of Reykjavík or the isolated wilderness of the Westfjords, it’s important to both plan ahead and be flexible – because this is a country where weather changes in an instant and the very ground beneath your feet is in flux. The earliest known people to visit Iceland were Celtic monks from Ireland, the first of whom likely arrived in the seventh century. Two hundred years later, the Vikings came to settle, giving the country its language – still almost the same as ancient Norse. In 930, they also created the world’s first parliament to govern the island. Called the Alþingi, it was an assembly of chieftains who met for two weeks each summer to pass laws and administer justice – and the Alþingi still meets to this day. Iceland has been an independent nation since June 17, 1944, and, today, the country’s 300,000-plus residents are known for their high standard of living and socially progressive culture. They have embraced gender equality and sustainable development, with a commitment to the environment that sees about 85 per cent of the country’s electricity come from renewable energy sources such as geothermal and hydropower. They’re also exceptionally creative, with vibrant music and literature and festivals dedicated to themes such as film, food and design. The capital and largest city, Reykjavík, is the arrival point for most visitors, with quaint, colourful buildings and cultural institutions such as the National Museum and the three Reykjavík Art Museum sites. Reykjavík is a gastronomic destination, with dishes often highlighting local fish and lamb, but here’s a shocker: it’s also famous for its hot dogs. For the full experience, order “one with everything,” including a mix of raw and fried onions, ketchup, mustard and a flavourful mayonnaise-based sauce called remoulade. Of course, cities aren’t what most visitors come to see. 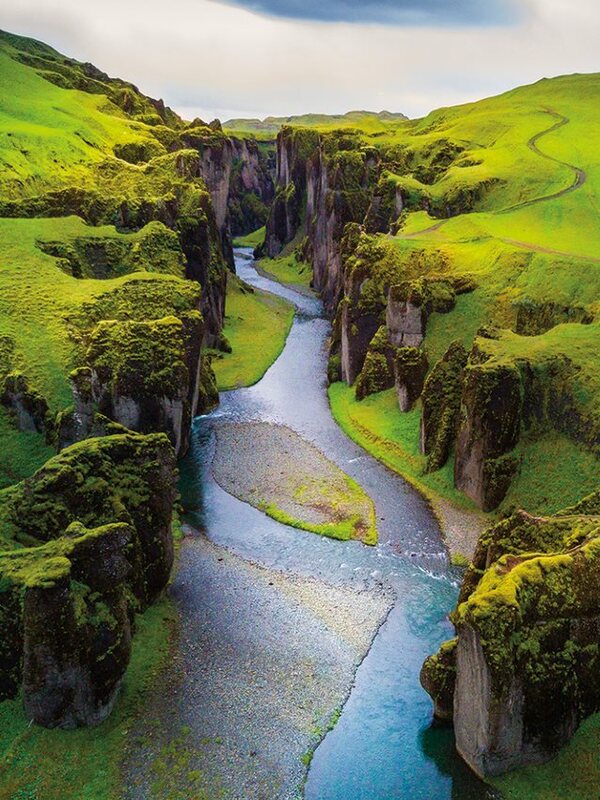 The big attraction is Iceland’s active geology and the astonishing natural formations it has produced. 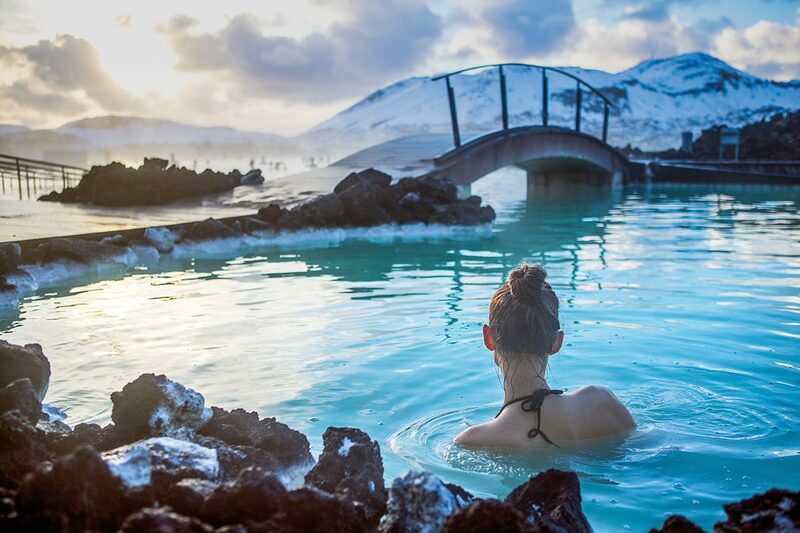 Not far from Reykjavík is the Blue Lagoon, where you can bathe in geothermal seawater rich in silica and minerals – pre-booking is essential. Also near at hand is the Golden Circle, including UNESCO World Heritage site Þingvellir National Park with its moss-covered lava fields, the Haukadalur Geothermal Valley, featuring geysers such as Strokkur shooting boiling water up to 40 metres into the air, and Gullfoss, a two-stage waterfall cascading through the Gullfossgljúfur Canyon. Venture further afield and you may end up in Jökulsárlón, where you can gaze at icebergs and seals floating by, Landmannalaugar, with its otherworldly colourful mountain peaks and lava flows, or Húsavík, a picturesque fishing town known for whale-watching. 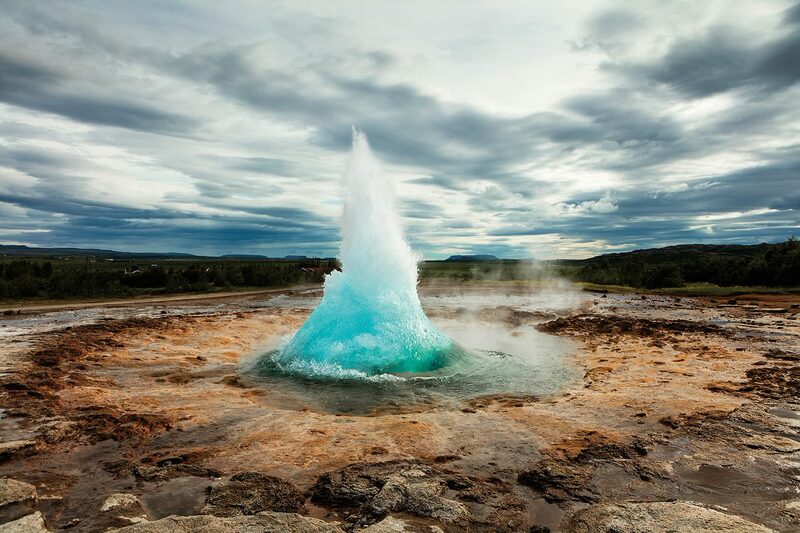 Not far from Húsavík is Lake Mývatn, in an area of sulphurous volcanic craters, steaming fumaroles, lava sculptures and multihued mud pools that may make you feel like you’ve travelled all the way to Mars. Because about 80 per cent of Iceland’s territory is uninhabited, it’s easy to find a place to be one with nature almost anywhere you go. But for those who want to leave other tourists far, far behind, the remote Westfjords may be the ideal destination. Set aside a week or more to drive carefully along the unpaved, potholed roads, and be ready to adapt to weather and road conditions. Your itinerary may include the cliffs of Látrabjarg, the western edge of Europe where puffins nest, Rauðasandur, a red-sand beach flanked by other beaches with varying shades of white, yellow and black sand, and the Hornstrandir Nature Reserve, where you’re likely to pass Arctic foxes as you make your way along spectacular hiking trails. 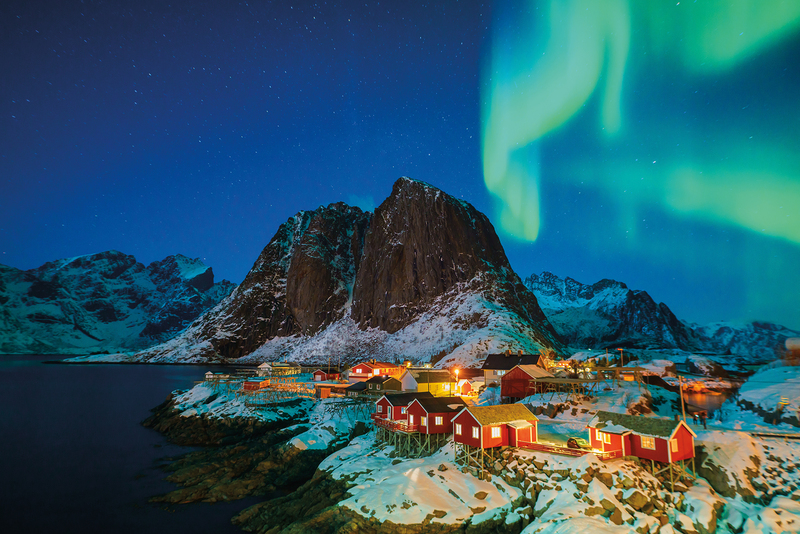 Whether your visit is a brief stopover on the way to the rest of Europe or a bucket-list trip dedicated to this one outstandingly varied destination, chances are you’ll see things you’ve never seen anywhere else and return home with a renewed appreciation for our planet’s raw power. When should you go? Iceland’s four seasons each have their own attractions. Go in spring to watch the puffins arrive and the first flowers bloom, in summer for the midnight sun and festivals, in fall for the autumn colours and wild blueberries, or in winter for the northern lights and ice caves. Average seasonal temperatures in Reykjavík vary from about 1°C in the winter (ranging from –10°C to 10°C) to 12°C in the summer (ranging from 7°C to 25°C). Whenever you go, it’s always a good idea to pack layered clothing because Iceland’s weather can shift quickly and unpredictably, even within one day. Ready to begin planning your trip? A good place to start your research is the country’s official tourism website at www.inspiredbyiceland.com. Your elemental adventure awaits!